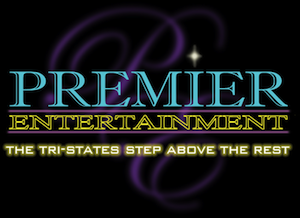 Premier Entertainment is a family-owned and operated business. With twenty years in the wedding and event industry, we deliver personalized service and special attention, whatever the occasion. Our years of experience give all our entertainment specialists the knowledge and appreciation to help you bring your visions to a reality and we help to bring out that special touch designed by you into your day. Every event we do at Premier Entertainment is different, because we help you to make your special event something you and your family will remember for a lifetime. The company founder Ralph DeWeil started in the industry thirty years ago, and worked for several prominent companies and top night clubs in the metro area before starting his own entertainment organization. His love of music and entertaining for the masses and being recognized sought after for his originality and his desire to be the life of any event is why people planning events all over the tri-state area continue to only trust the entertainers from Premier Entertainment and this is the principle that continues to drive the success of our company. Today Premier Entertainment has morphed from a fantastic DJ company to your event planning service, where with the help of our event specialists, we can help you design not only your event through music but educate and show you how we can help you design all the aspects of your day from the second you step out of that limo to the last song played at the end of your special event. Premier Entertainment can help you design and put together every aspect of your special day. So why trust anyone else… We invite you to take the next step to begin your journey and contact one of our event specialists who can help you start planning the event of your lifetime. Professional, experienced, full-time entertainers with a real passion for what they do. Family-owned and operated for 20 years. Customized, value-filled packages with competitive pricing. Entertainers and technicians on emergency call 24 hours a day, 7 days a week. Recommended by dozens of reputable banquet facilities: a well-known entertainment company that is welcomed by many venues throughout the tri-state area. Full-time administrative and sales staff, supported by our 24/7 live operator answering service. Backup equipment on-site at every affair. Unequaled customer service and attention to detail. Premier “Thank-You” program. Refer a friend and receive gift cards. Premier’s ironclad price matching guarantee: we will beat any bona fide price from another entertainment group that is fully insured & licensed by the State of New Jersey.